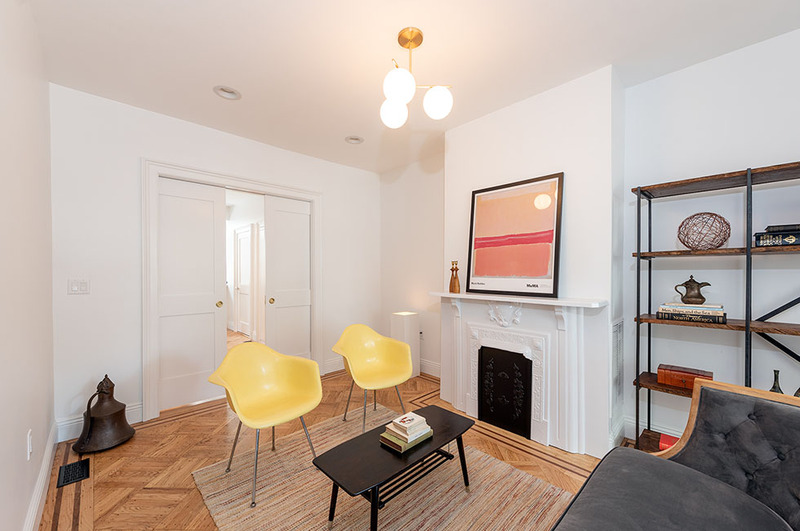 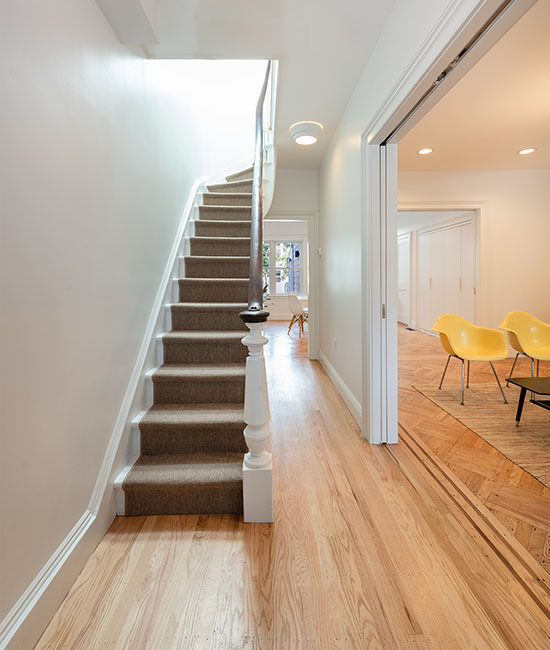 Originally built in the 1890s, this enchanting single-family home has undergone a complete restoration of the highest integrity. 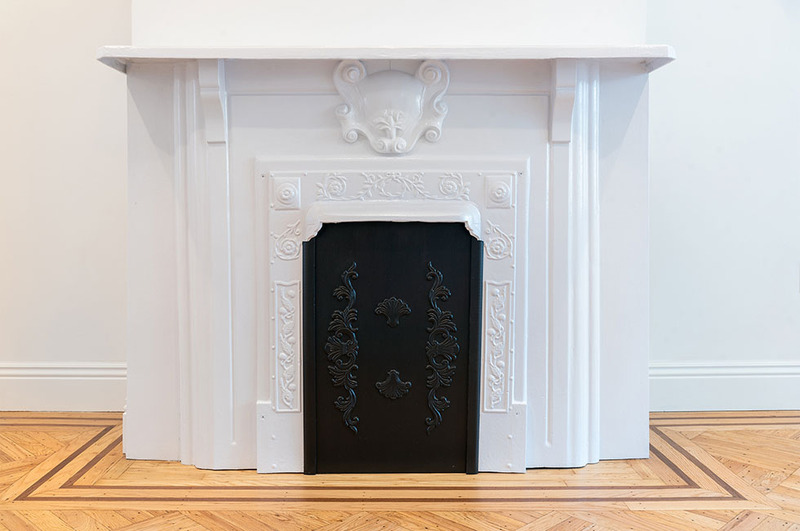 Sensitive to its heritage, many of the original details including solid wood doors, porcelain door knobs, 7″ moldings, trim, french oak and 6″ knotted pine floors have been lovingly brought back to life by a meticulous architect and designer; all while adding period correct pocket doors, fireplace mantle and vent grates. 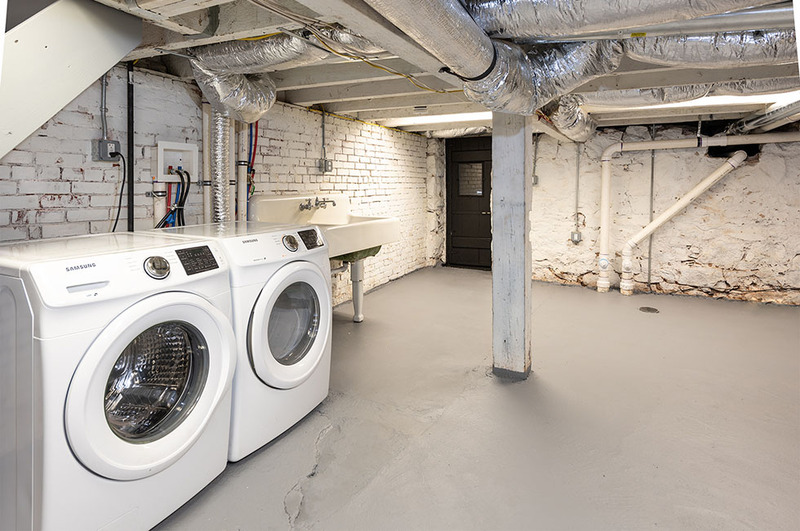 The restoration also includes modern electric, plumbing, central AC, Anderson windows, and Ring Doorbell security. 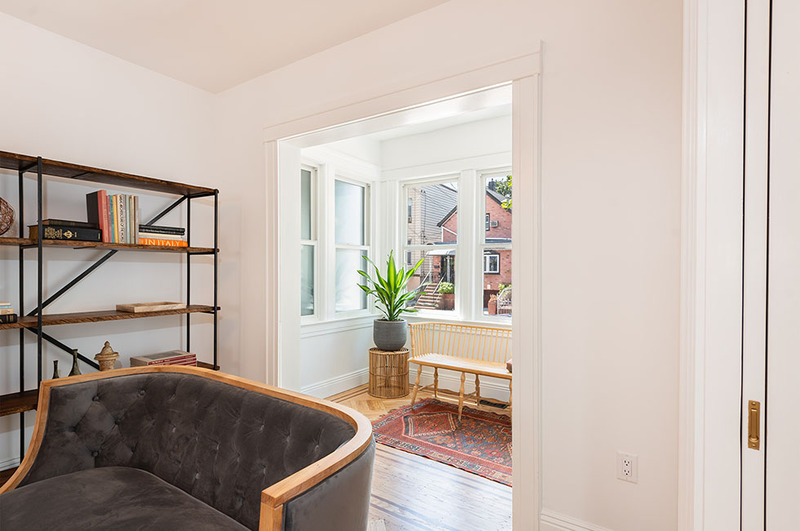 The jewel-like parlor, with walnut-inlaid parquet floors, is adjoined by an alluring sun-room, dining room and spacious family room (easily converted to a third bedroom!). 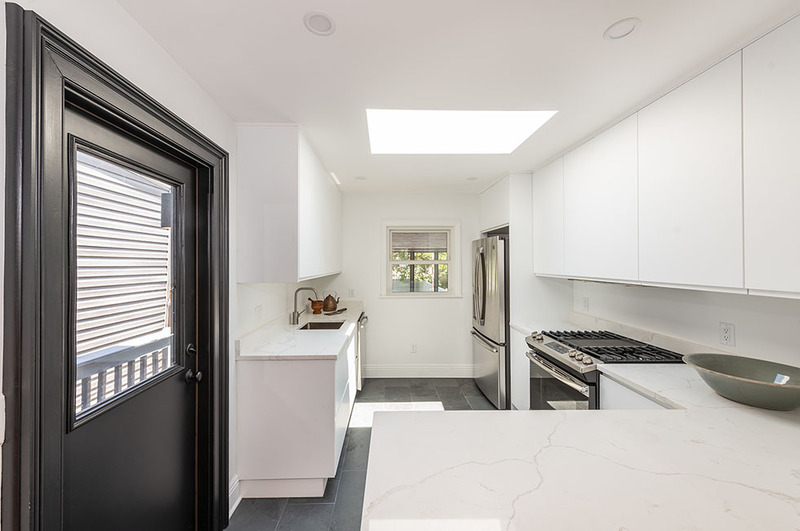 The bright, open kitchen is newly outfitted with a large skylight, stainless steel appliances, slide-in range, custom cabinetry with integrated pulls and quartz counter-tops. 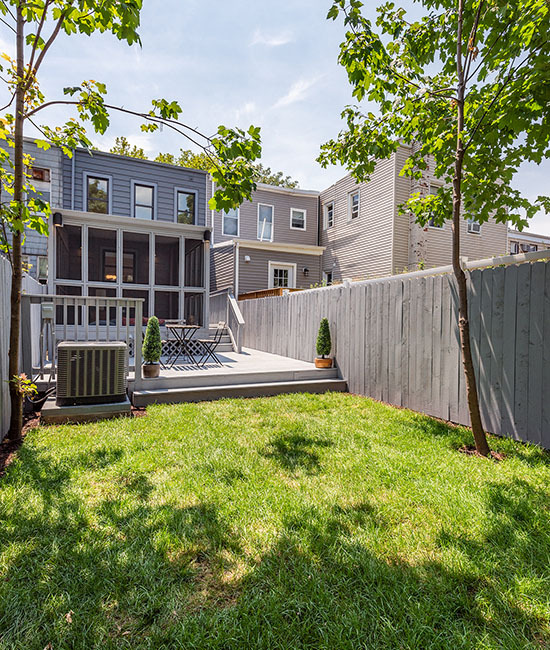 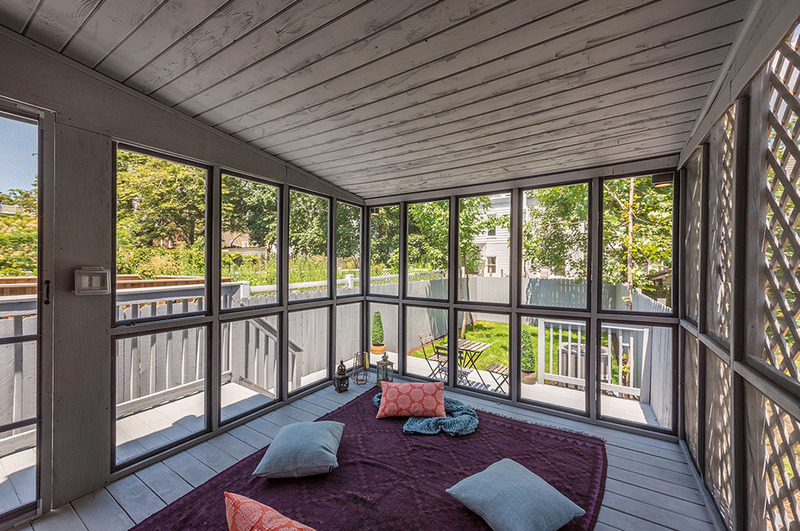 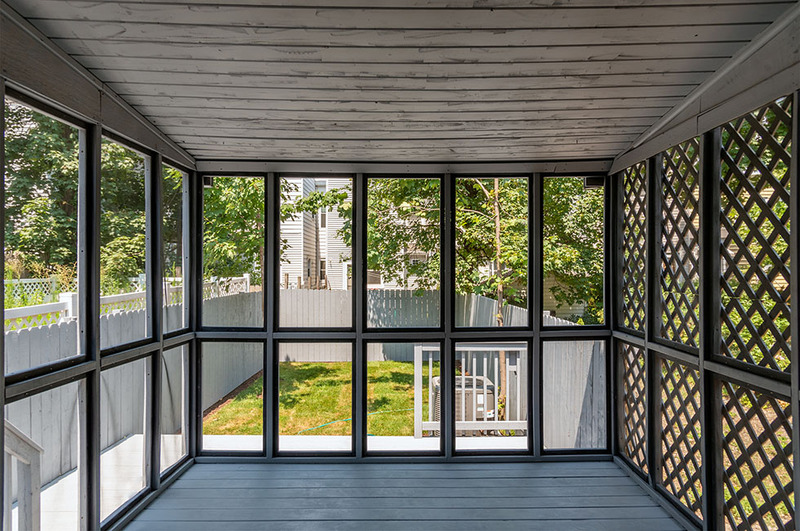 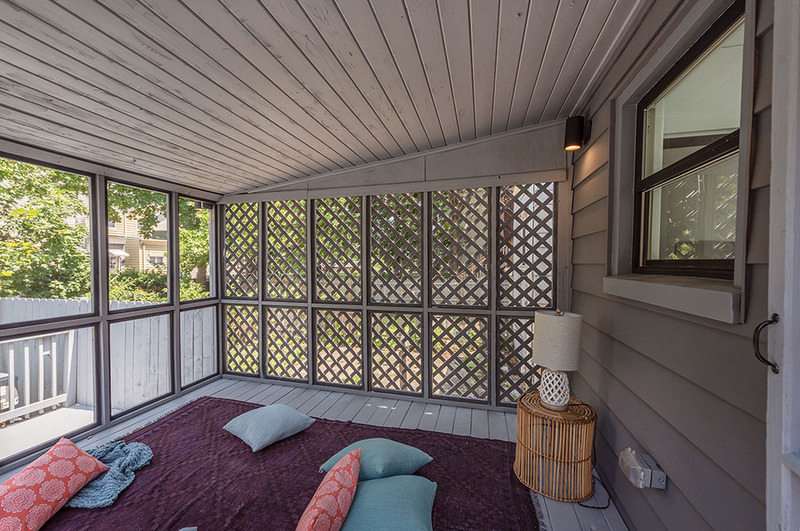 The storybook backyard, with deck and three-season room, is a sanctuary rarely found in an urban setting! 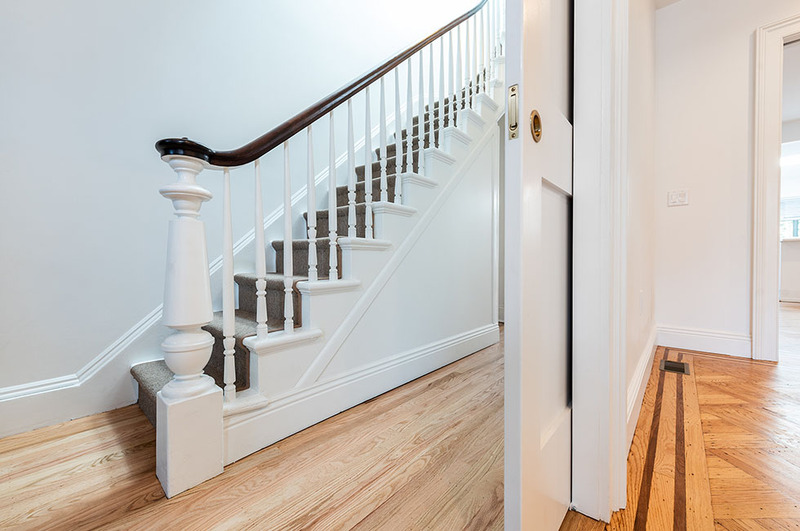 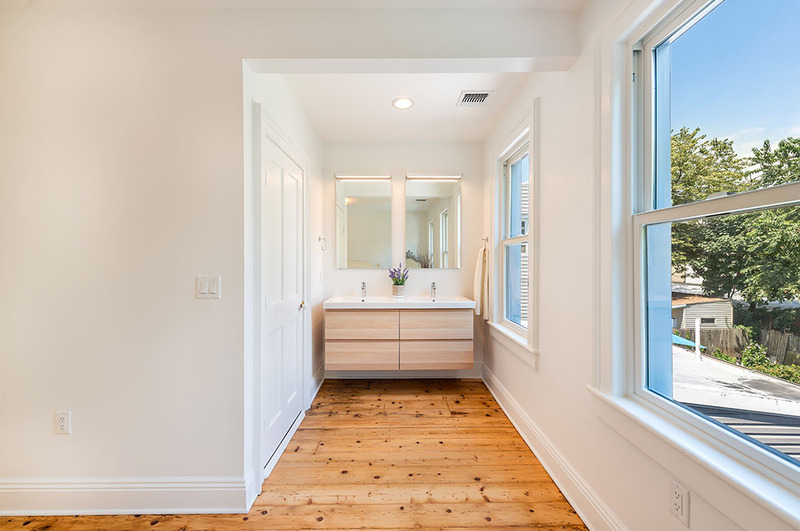 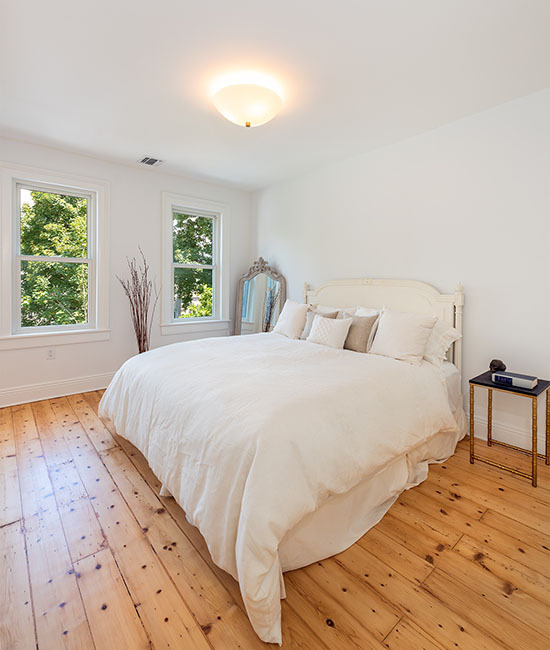 Upstairs, with restored mahogany banister and new skylight, the second level houses a bright, spacious master suite with en-suite bathroom, plus additional bedroom and bathroom. 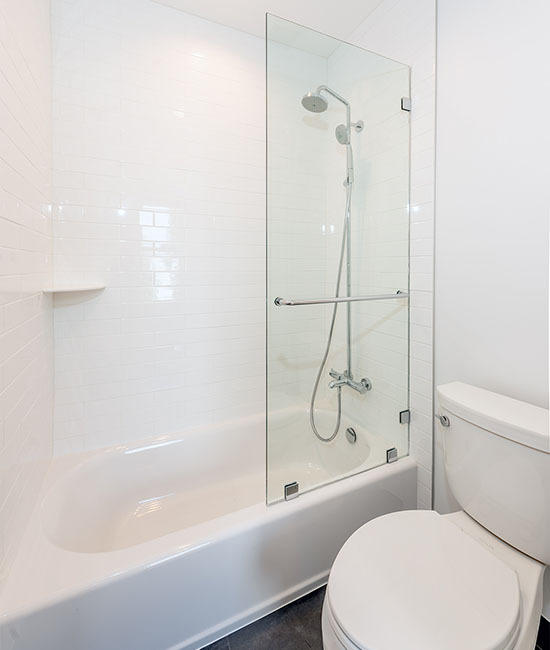 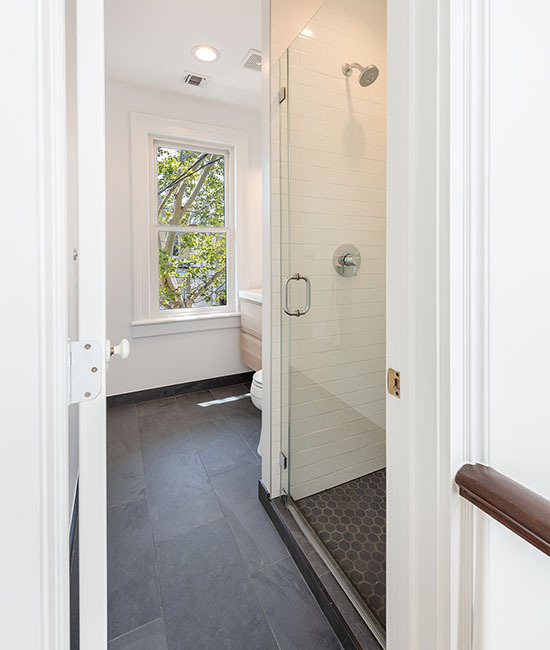 Bathrooms and powder room are adorned with slate tiles, fixtures from Hans Grohe and Kohler. 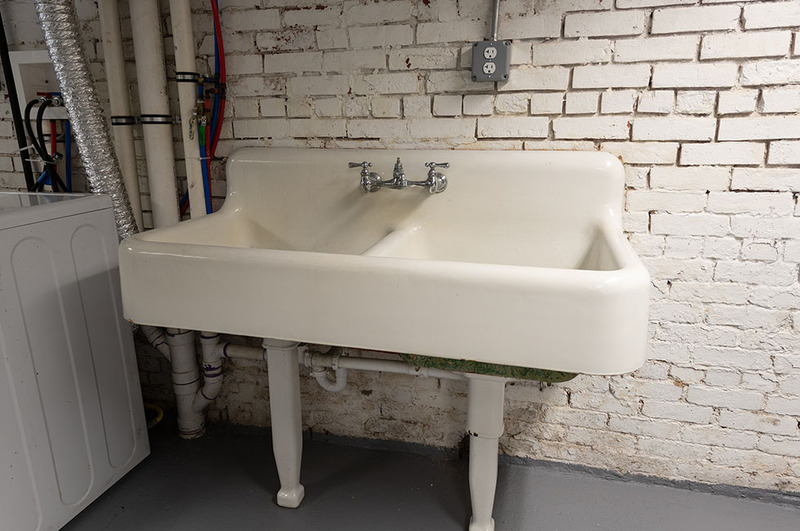 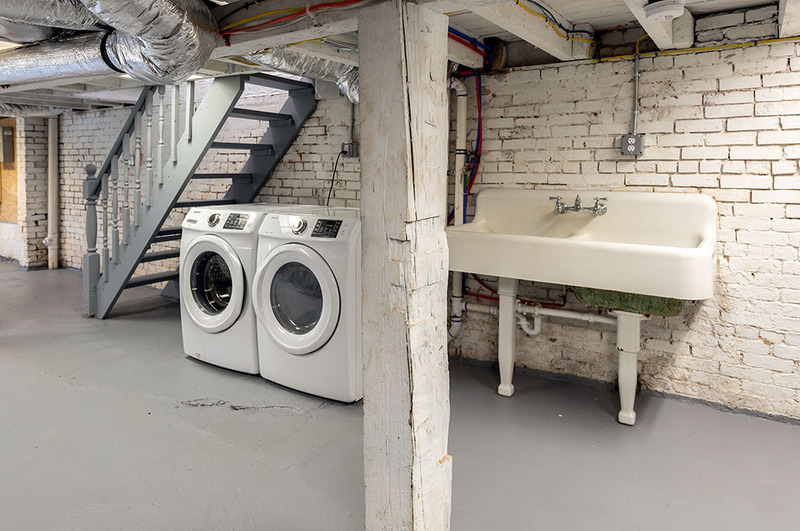 Laundry (located in the full basement) retains both a freestanding cast-iron double sink and work table from the early 1900’s. 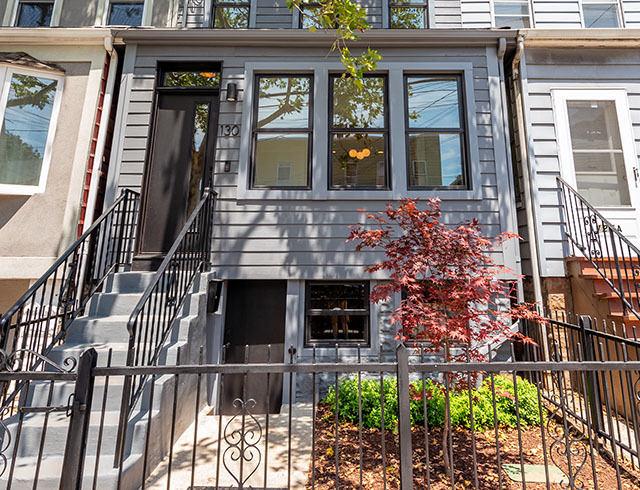 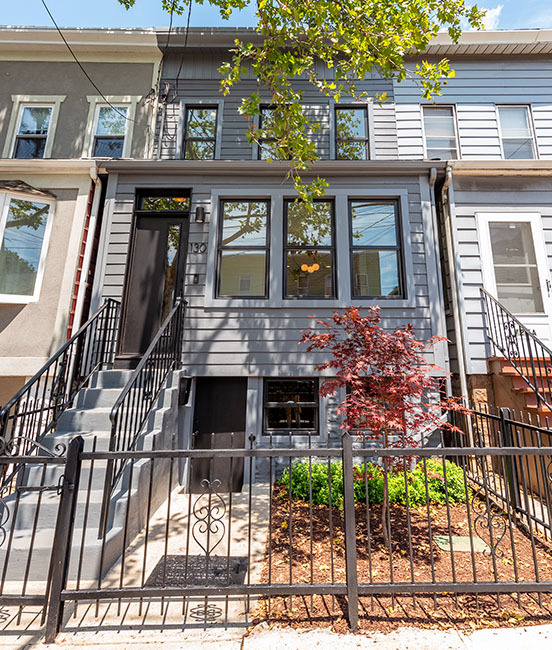 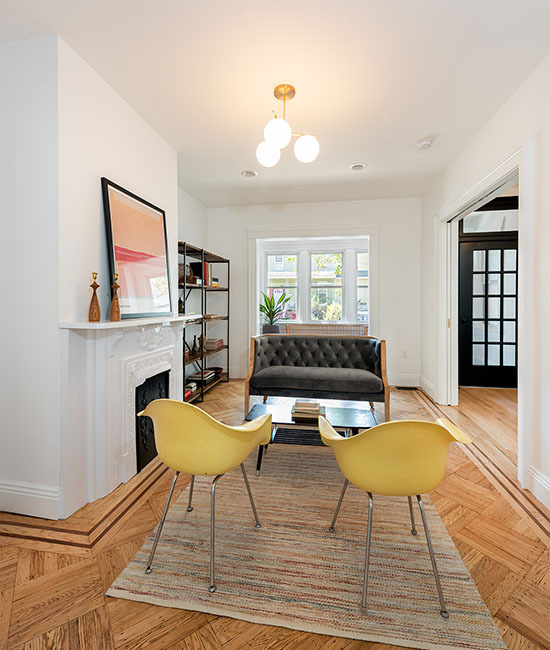 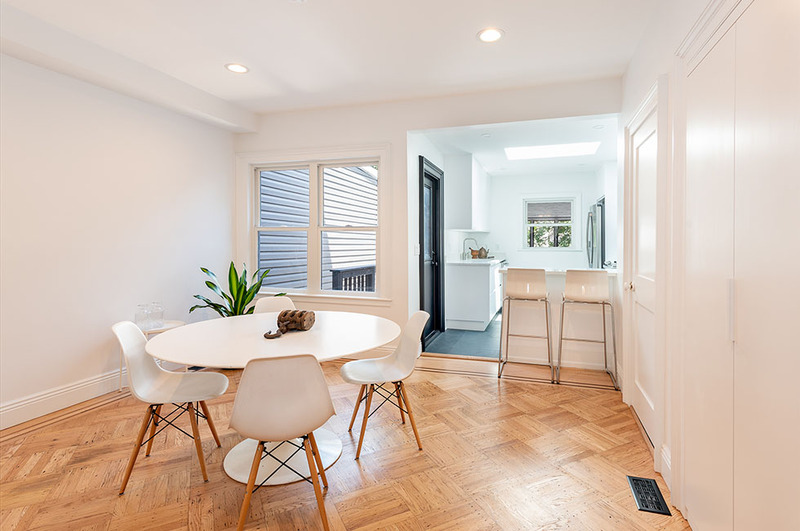 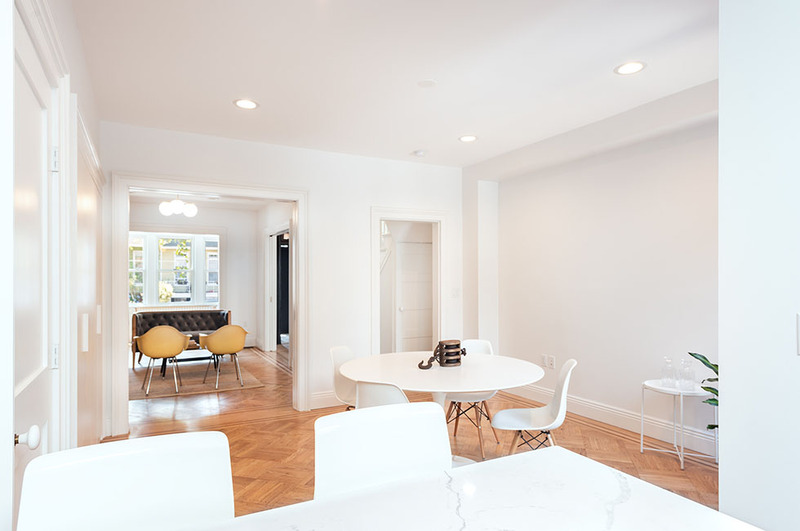 Conveniently located a block to Washington Park, a half block to shopping and dining on Central Avenue and steps away from schools & public transit, this incredible home — designed by ARX — is ready for immediate move-in.